Since the average home is built to provide suitable shelter for decades, a century, or sometimes even longer, it makes sense that roughly 559,000 new homes were sold in 2016, as compared to the nearly ten times more (5,440,000) existing homes that were sold in that same year. But even though they are not as numerous as existing homes, newly constructed homes offer some real benefits to the people who opt to buy them. Unlike existing houses, buyers who choose new construction have the opportunity select their ideal location. Buyers can situate newly constructed homes on available building lots in suburban settings, or they can choose to find their dream property and have their builder construct their new home on it. New construction buyers can also look for building lots in developments that are specifically geared to their activities and needs and then have their dream home built there instead of having to sacrifice their housing dreams in order to own a home on their favorite lake, golf course, or other location. In addition to a precise location, choosing to custom build a new home offers buyers the freedom to face the home in any direction they choose or position it where they want it, in accordance with any existing local regulations. Want to see the sunset over the water every day from the patio? Building a custom home is the easiest way to make that happen. Another popular reason to choose new construction is the fact that it allows the buyer to customize the home to fit their needs and wishes. Buyers can add features and design elements they want or need to ensure they are building a home that fits them comfortably, both now and in the future. For example, retirees may choose to add a home elevator system, walk-in bathtubs, wide hallways, or lower countertops to accommodate potential mobility or health issues in the future. 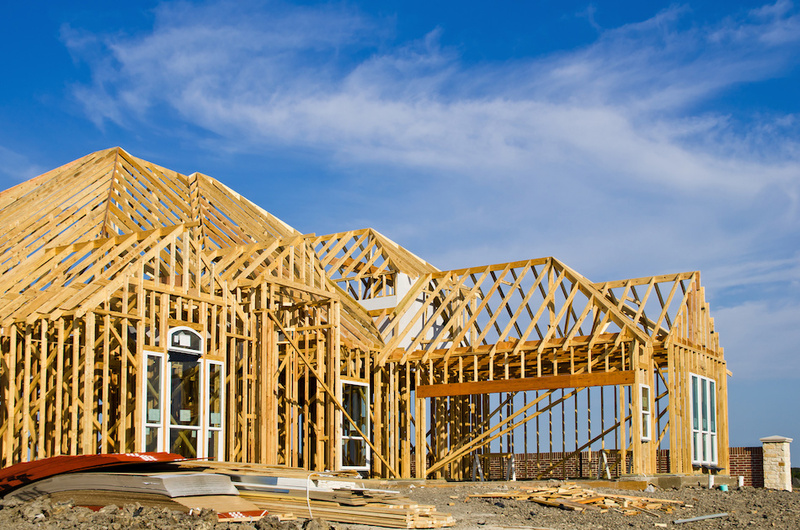 New construction means having the opportunity to use the newest building materials, components, and housing products available at the time it is built. This can include both new technology to make the home "smart", as well as the highest quality of energy efficient materials and components, including insulation, windows, roofing, solar panels, and heating and cooling equipment. Although a new construction home may cost more than a comparable existing home, the difference may be recouped over years of ownership through lower-than-average heating, cooling, maintenance, and utility bills. One of the most popular reasons why many people choose to build or buy a new home is that doing so typically offers a long window of freedom from dealing with the replacement of non-working appliances or components. In addition, owners of newly constructed homes will not have to plan or budget for major home renovations or repairs, such as putting on a new roof, changing out carpeting, or installing higher efficiency windows. This can represent a significant savings on annual housing costs as well as offering a more relaxed, stress-free living experience. These are just a few of the reasons why a growing number of home buyers are choosing to explore the benefits of opting for new construction. To learn even more reasons to consider new construction and view some examples of new construction in your area, contact a local real estate professional who specializes in listing and selling newly constructed homes.